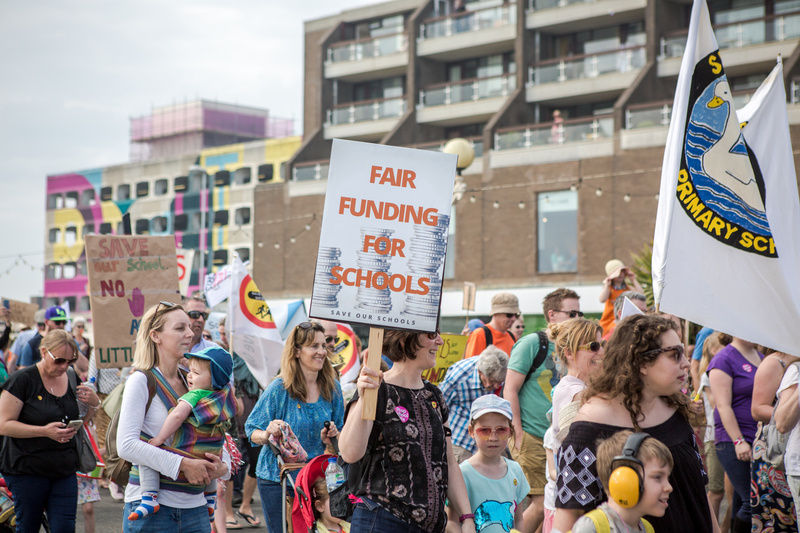 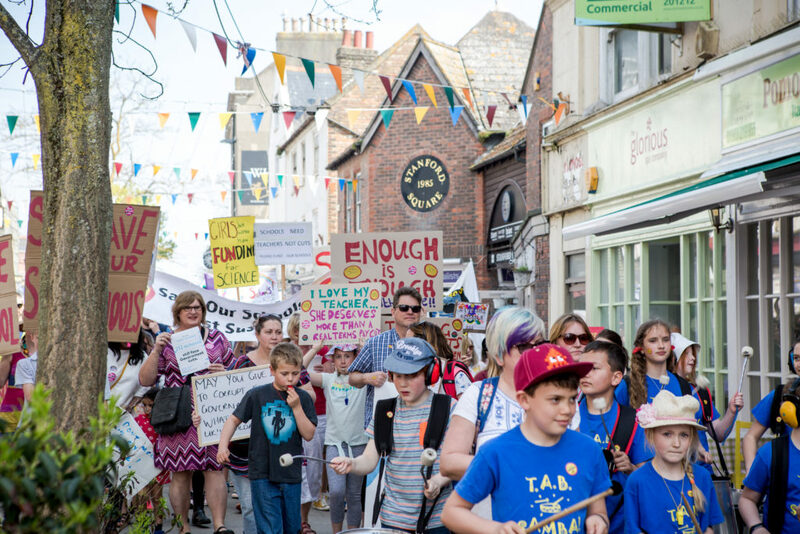 As you can see from the panoramic photo above, the Save Our School West Sussex protest march and rally went with a swing on Saturday 21st April, with over 400 people turning out! 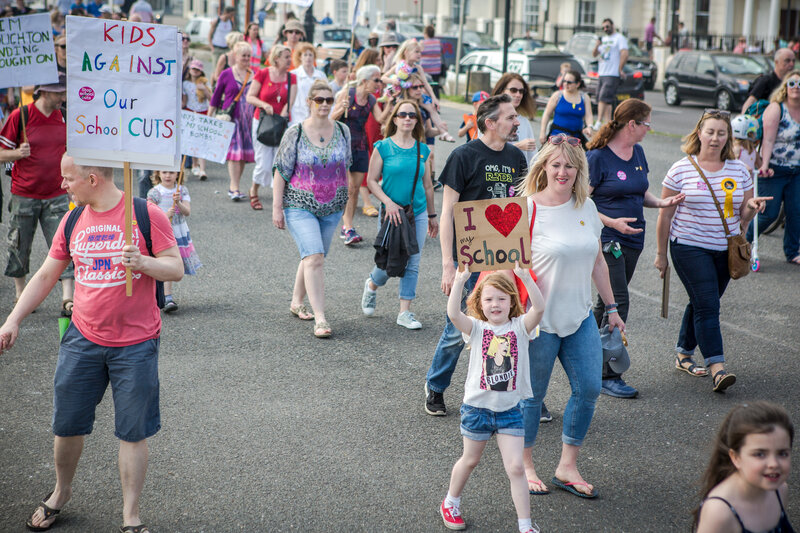 Check out the photos below, courtesy of Sam Pharoah. 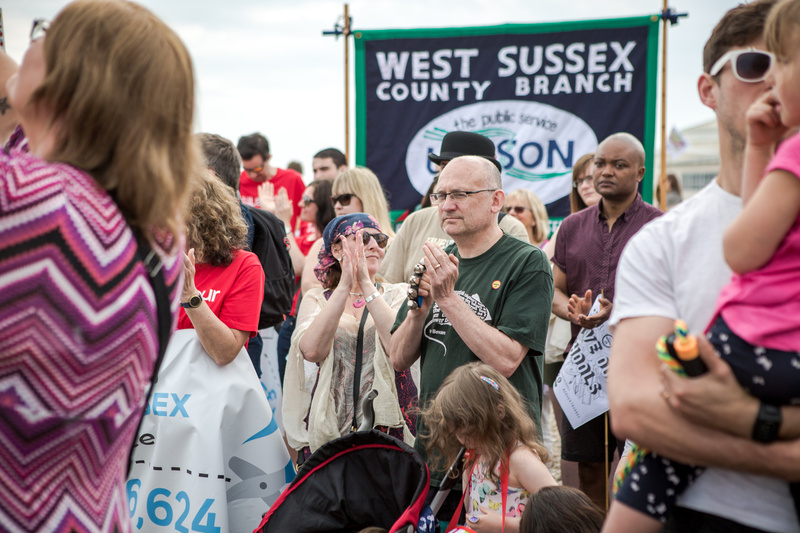 The event received high profile coverage on BBC TV South Today. There was a deadly serious message behind the colourful protest: our schools are being defunded and education is suffering. 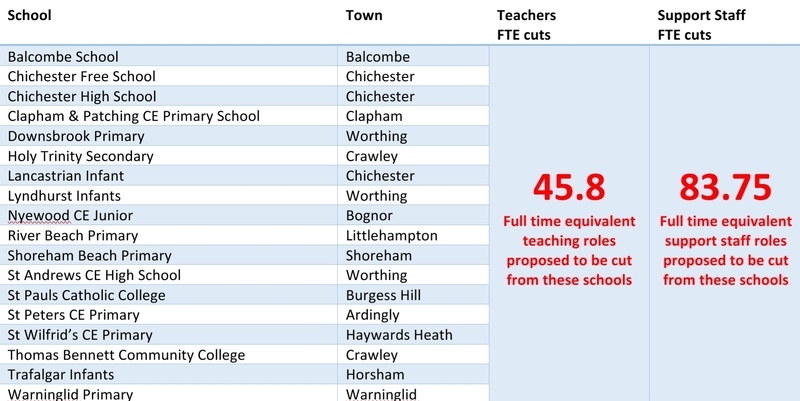 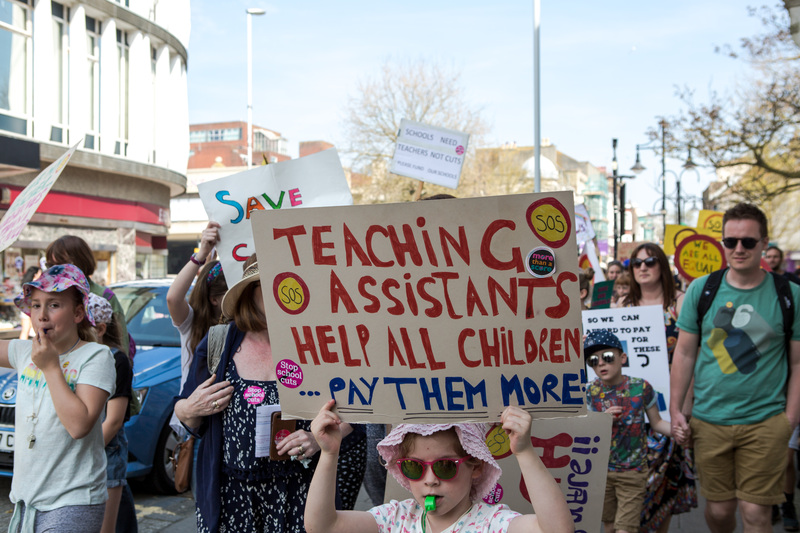 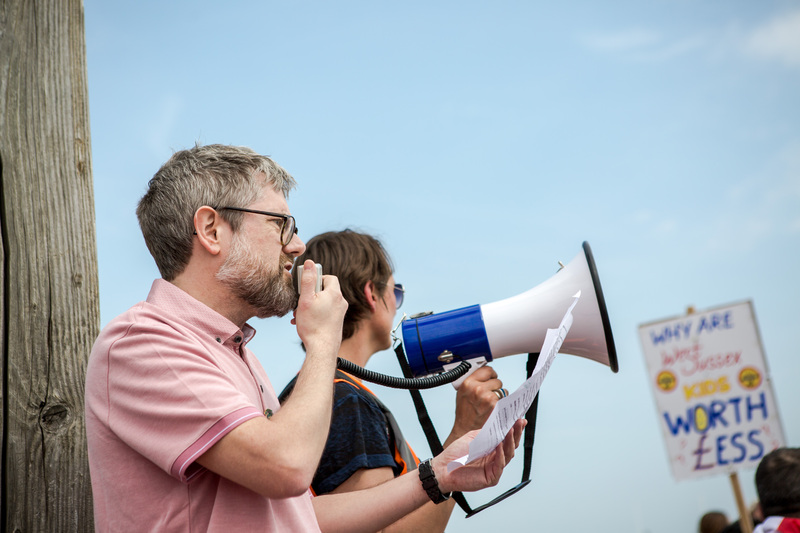 Branch Secretary Dan Sartin was asked to speak following the march (photo below) and the branch highlighted the shocking cuts figures so far proposed for this Summer term (table of cuts, also below). Please keep supporting the branch and Save Our Schools West Sussex with its campaigning.